We discovered something remarkable during the recipe contest. There are some aficionados of Irish cuisine amongst our ranks here in the Florida Conference. With St. Patty's day coming up, this is a great opportunity to try out what they've stewed up for us. As the Irish say, "A cabin with plenty of food is better than a hungry castle." 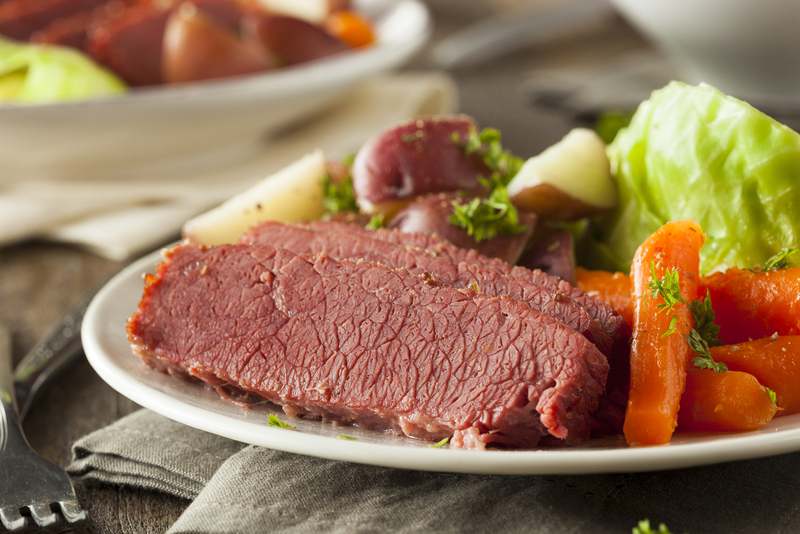 So, without further ado, here's our top 14 picks for your authentic Irish feast. Judy's family makes this classic recipe at least once a year for St. Patrick's Day. You've got your meat, spuds and veggies all in one, making a well rounded meal for the tribe. Not your typical potato recipe. Carb up your meal with this kickin' side dish. You can't very well have an Irish meal without the bread. Another one of Judy's family recipes that became a big hit for her sons' Scouting troop. A creamy, buttery course that serves up to 12 people. This recipe is a little different for cooked carrots with the cumin flavor. Celebrate all day and start with a traditional breakfast. Cranberries and almonds add flavor and texture to this oatmeal recipe. A perfect pairing! Here's an option if you want to keep things healthy and delicious. Quick, easy, healthy, and super yummy. Thanks for the submission Marie! Two options for cabbage rolls. One is easier than the other, but apparently the extra effort is well worth it. It's easy comfort food with less of the hassle. No one else needs to know it only took us 30 minutes. Another creamy soup. This one has some interesting spices in it, but hopefully that won't be a dill-breaker for you. Don't forget dessert. Here's a family-favorite dessert handed down through four generations. Best served still slightly warm from the oven with whipped cream or ice cream. Thanks for sharing your family recipe with us Mary! If you still have room, here's another dessert to try. Anyone who likes a hint of peanut butter ... this is for you.